Background: A.J Fernandez stormed onto the scene a number of years ago and has become quite the prominent figure in cigar culture. 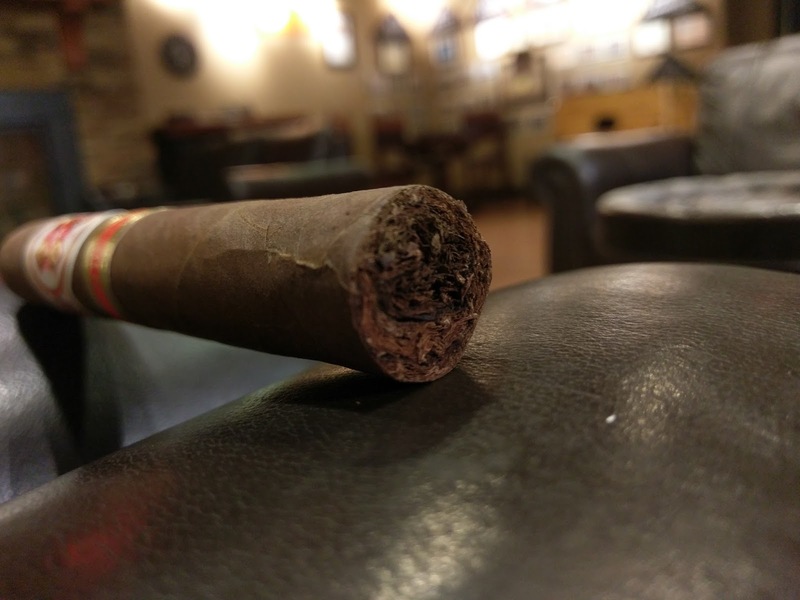 His most famous blends tend to be on the stronger end of the spectrum, so it was a bit of a surprise to see that he was going to work with Hoyo de Monterrey - a cigar name that typically doesn't hit that realm. If nothing else, it should be interesting. 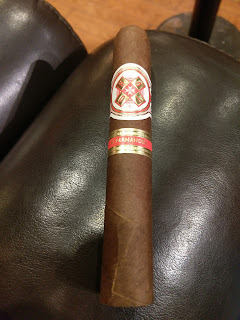 Appearance (0-20): The presentation of this Hoyo is big and bold. 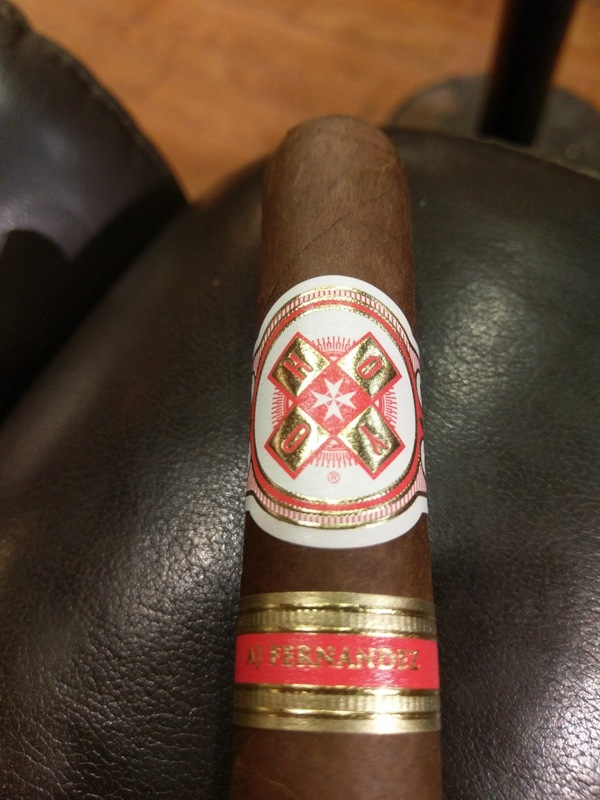 There are two distinct bands - the top band is a white backdrop with red and gold embossed areas spelling out Hoyo around the circle, while the second one says AJ Fernandz in gold on a red backdrop. 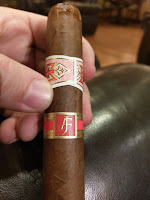 The stick looks pretty nice for the most part, with a rich color to the wrapper, however the wrap job of the particular one I had was a little sloppy with a decently sized vein toward the bottom. Construction (0-20): The feel of the stick is superb, with no areas to note at all. Unfortunately the wrap itself isn't quite seamless. The cut was completely clean though, and the draw was pretty spot on. Post lighting the draw opened up just the slightest bit further, so all in all it was where it needed to be. The burn line was a bit more diagonal than I would have preferred, but the ash held for over 2 inches at a time. Strength (0-20): When I look toward AJ's other offerings, its usually because I know I am going to get a full strength experience. Billed at full strength - this hits the mark nearly right on the head. Flavor (0-20): There is nothing but goodness from the beginning of the La Amistad. You're greeted in the first few puffs with nice amount of pepper, but its set across an earthy and cedar backdrop. The mixture of flavors balances out very well. Mixed in you can easily pick up a bitter espresso along with chocolate and some sweetness that I cant quite put my hands on. The retrohale keeps that nice spicy pepper when moving through. The interesting portion to me is that all of the flavors that were mentioned here tend to come in waves instead of simply mixing in. So you will get bursts of each distinct flavor. Its almost like a number of lead roles in a play, but they all share the stage without fighting at all. It all just works. That being said, the pepper and bitter espresso tones are the ones that seem to naturally lead he way through the entire smoke, but again, they aren't overpowering at all. Value (0-20): This is the type of cigar that you'll find yourself being happy that you paid about $6 for. Not an extreme value, but a value none-the-less. 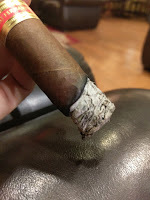 Overall (0-100): Coming into this smoke, I had some expectations of the La Amistad given that it was blended in part by AJ Fernandez. Those expectations were absolutely met. Aside from a slight construction stumble (which could have been due to the particular batch I purchased), this cigar is superb. It bold from start to finish - the box, the band, the strength, and the flavor. Everything works. At $6.25, you will be hard pressed to find one that has this type of strength (full) with such a harmony of flavors. And while the flavors stay consistent - with pepper, earth, cedar, espresso, chocolate, and sweetness - they work in such a way that it creates complexity by constantly cycling between which one is the biggest star. I absolutely give this one a recommendation.